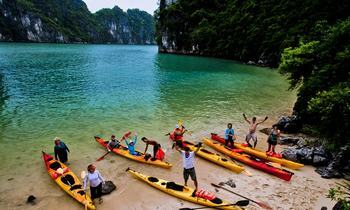 It is undeniable that Halong Bay is the most famous tourist attraction for both international and domestic travelers. 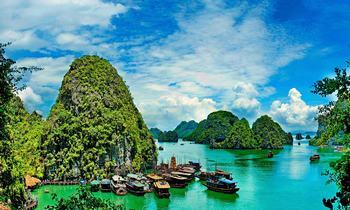 As a result, it is very convenient to get to Halong from anywhere. 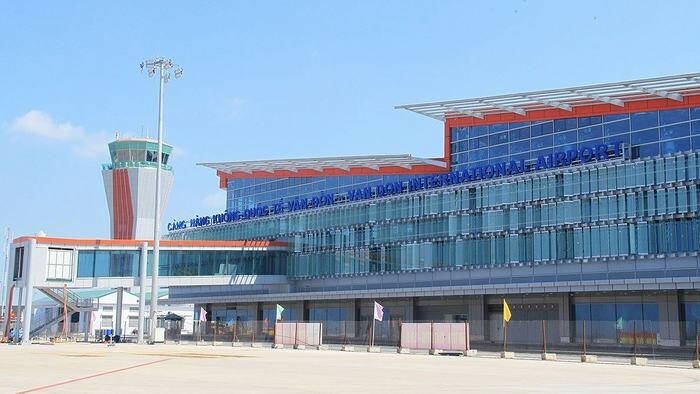 Recently, a new airport called Van Don International Airport has launched in Halong that makes your traveling much easier. Follow us to know more about it. 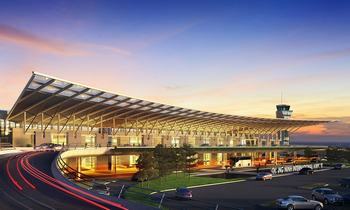 Located in Doan Ket Commune, Van Don District, Van Don International Airport is the first private airport in Vietnam. Invested by Sun Group, this airport has many differences with other station projects across the country. From the outside view, you may not see the outstanding point but you will find it an impressive interior design. 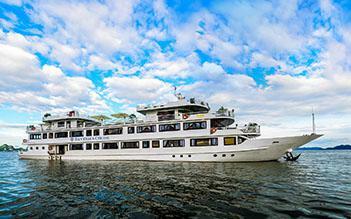 All materials are imported from many European and American countries. Started in March 2016 on a total area of 325 hectares, the project was invested in the BOT form with a total amount of about 7,700 billion VND. This airport has been approved by the Ministry of Transport as a 4E-class airport (according to the standard code of ICAO) and a level II military airport. 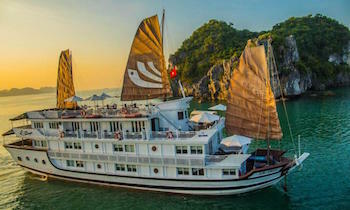 The first highlight of Van Don air terminal is the dome designed to be inspired by the image of brown sails anchored in Halong Bay. Colors on the roof can vary from orange to red in different weather conditions. 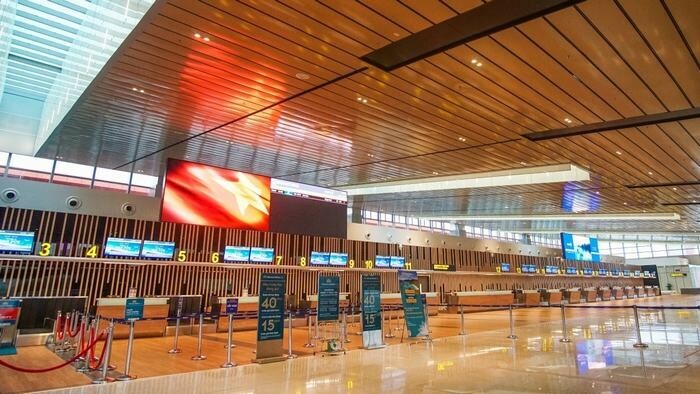 According to the architectural experts of the airport design consultancy firm from the Netherlands, this design is inspired by the symbol of Quang Ninh sea. In the reception area, there are 31 check-in counters, ensuring the process quick and efficient. The management software is brought by the supplier from France. The sound system consists of special equipment branded Harman. The toilet system is designed in the style of Japanese airport toilets. The glass doors and walls of male toilets are green whereas the female’s are red. There is also a separate toilet area for children. The Dutch airport design consultancy company has been invited to advise on the management and administration work as well as the training of professional staff. This unit has 65 years of experience in airport design, development and management on a global scale, participated in over 500 airport projects in 100 countries around the world. From the period 1 to the year 2020, Van Don Airport is capable of accommodating 7 airplanes and it can accommodate 15 airplanes in period 2 to the year 2030. Many modern types of equipment imported from abroad meet the strict standards of international aviation that have been installed and completed. BHS bag conveyor system originates from the Netherlands. The system is flexibly designed between domestic and international conveyor belts to ensure that the system is still operational in case one is faulty. The system of 2-way projection scanners with the brand of Smiths originates from Germany (most of Vietnam airports are only one-way illuminated), meeting the standard of American aviation TSA 5. Ilene automatic tray payment system of Germany was first installed at an airport in Vietnam. The heating system, explosive detectors, and drugs are imported from the USA that meets EU Standard 03 detecting liquid explosives. The Air traffic control station is situated near the international terminal area with a height of 42 meters, ensuring the absolutely safe monitoring and coordination of airplanes going to and from. This work is inspired by the lighthouse with many unique and impressive features. Van Don airport runway has a beacon system imported from Belgium, meeting CAT II standards. Particularly for power supply, it can meet the ICAO standard for one-second power failure. Thanks to the standard runway system, the aircraft can take off and land on both ends of the runway easily. With the ILS automatic landing system imported from the US, Norway, and Sweden, the aircraft also can land in all bad weather conditions when it arrives in Van Don. It is expected that when Van Don is officially put into operation, it will have 9 flight routes with the capacity to receive about 7,000 passengers per day. As planned, in the first phase to the year 2020, the station will meet the capacity of 2.5 million passengers per year, of which peak hours can reach 1,250 passengers/hour. 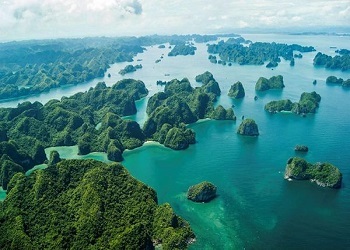 Recently, Van Don International Airport managing department has cooperated with Quang Ninh province and other relevant agencies to carry out the search for the flight market in countries around the world and in the region. 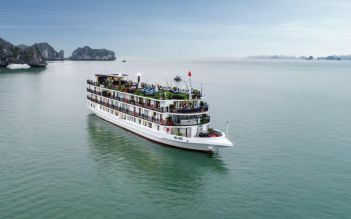 Specifically, it will focus on Northeast Asian markets (Korea, Japan, China, Taiwan) and Southeast Asia (Thailand, Malaysia, Singapore, Cambodia). 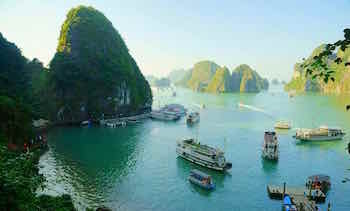 In the domestic market, it will focus on Central and Southern regions such as Hue, Da Nang, Cam Ranh, Da Lat, and Phu Quoc. 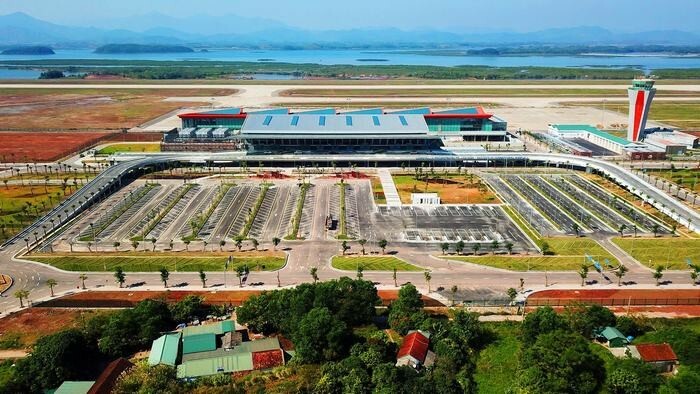 Hopefully, with this article, you will have a clearer look about Van Don International Airport - the newest Halong Bay Airport. 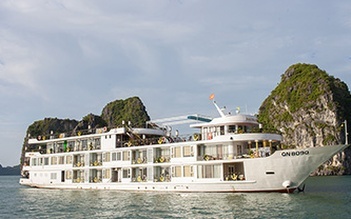 You can visit our website to get more information about Halong Bay cruise or leave any question. Share this post with others if you find it helpful. 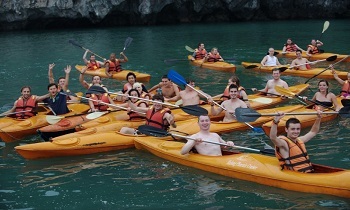 We hope to see you soon in Halong Bay!